HobbyHorse Rico's Arctic Rendezvous produces champions in colors from black to white! His EPDs are in the Top 1 to 5%, his density is excellent, sound conformation, excellent temperament. Skin biopsy data on Ritzy! Incredible - 72 follicles/sq mm and SP ratio of 13.1:1. Level 4/4 sebaceous glands. 2nd highest density black that Dr. Evans has done (highest is our own Black Epic's full sister SA Peruvian Black Klassique). Looking for that very special black female to take you to new levels of black? Hobby Horse Puttin' On The Ritz is that girl! A luscious true black fleece tops of this well build girl! She is fine (19.5 microns! ), dense and buttery soft. Her sire is the one and only 7X Champion SA Peruvian Black Epic - top winning full Peruvian black male all time (his kids have won 41 championships from ~60 offspring - not all old enough to show!) 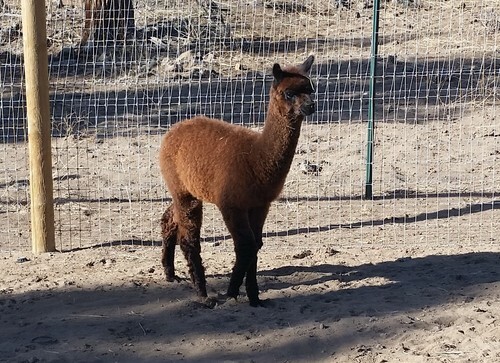 and her dam is our 1/2 Accoyo brown female RichGirl (also dam to 8X Champion Hobby Horse A Fistful of Dollars). 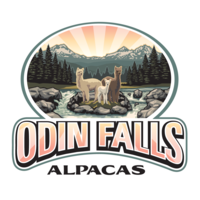 Ritzy is everything you are looking for in Full Peruvian black - just being full Peruvian and 1/4 Accoyo is rare enough, but couple that with her incredible lustrous fleece and striking good looks and you have the IT girl in black! 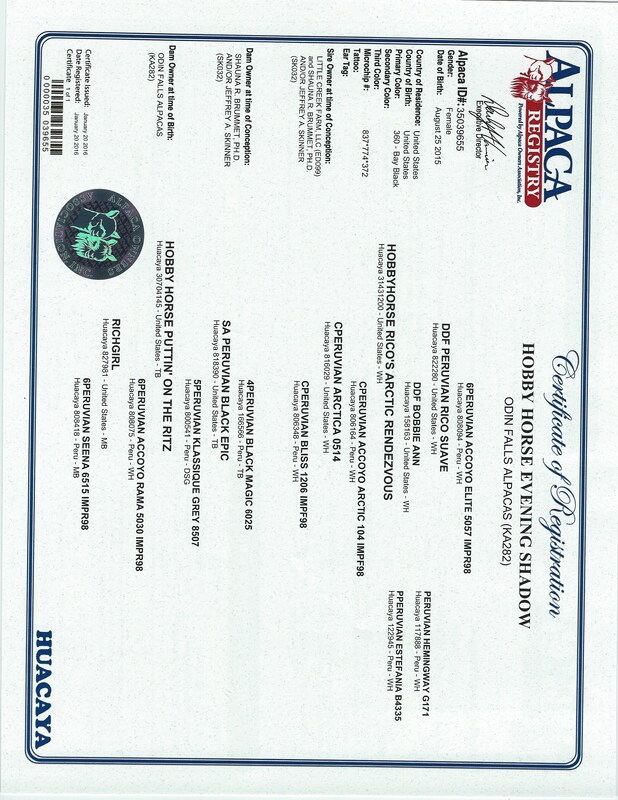 Ritzy is re-bred to our own superstar Get of Sire Winner and Color Champion HobbyHorse Rico's Arctic Rendezvous. The first pairing produced our modern silver grey female Color Champion winner Hobby Horse Rendezvous' Allure. This little girl is the product of a match made in Heaven. Just look at her two parents. Her mother,Puttin' on the Ritz, a Multi-Champion proven to produce Champions. If you follow her lineage back, you will find a long line of Champions. 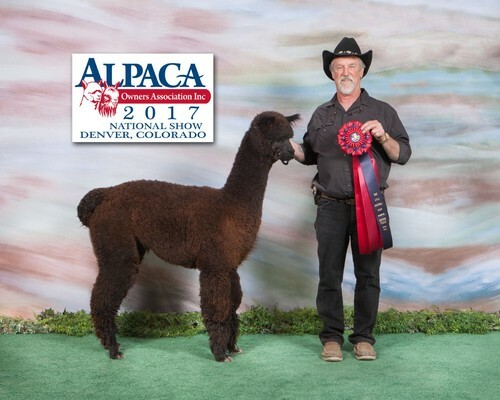 Then you have her Sire, Rico's Arctic Rendezvous, another long line of Champions with incredible fleece characteristics. It's up to Shadow to carry on her Mothers genetic line now, Puttin' on the Ritz passed away on September 22, 2015 when Shadow was 8 weeks old. Shadow is doing well and is a spitting image of her Mother.